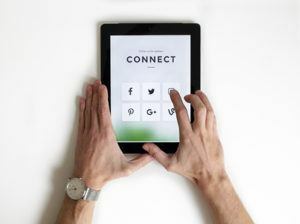 A recent article in the Financial Planning online insurance journal ‘Riskinfo’ outlines how social media programs are being launched by large financial planning dealer groups to help improve the engagement of financial planners with their clients and the community. The article discusses a BT-owned financial services dealer group (Securitor) which is wholly owned by Westpac. Securitor is currently trialling dedicated training for their financial planners on social media including utilising Twitter, YouTube, and LinkedIn. It is an opportune time to discuss the importance of social media for any financial services business (…and that includes Monarch Institute who incidentally has a dedicated Facebook page now) as a legitimate tool to reach out and connect with existing and new customers/clients. There are compelling statistics demonstrating the seismic shift in the importance of social media on everything we do personally and professionally. In fact much better than hearing it from us, go to this absolutely epic YOUTUBE clip here for a visual explanation of the “social media revolution”. If you watched the clip on Youtube, I’m sure you would agree social media is a huge influencer on your ability to attract new clients – whether you are a financial planner, bookkeeper or accountant. Prospective customers/clients now use social media to ascertain your credibility, and if its a company to identify the corporate ‘personality’. After all, companies are in many ways just a synthetic organ, and prospective customers/clients are keen to learn more about the people that make up the company. Get ready. Social media for all financial services professions is now a legitimate and growing communication and marketing tool. For more information about the article from Riskinfo, please click here.